This trick is getting old. GOP lawmakers are preparing to introduce yet another piece of legislation that purports to restore net neutrality just a year after Republicans moved to dismantle it. How kind. 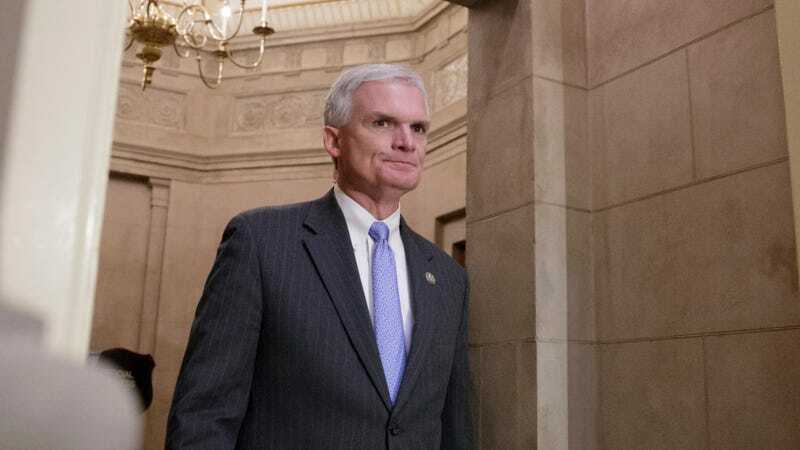 A supporter of the Federal Communication Commissions’ repeal of net neutrality, Rep. Bob Latta, a Republican of Ohio, is introducing H.R. 1001, a bill described as amending Title I of the Communications Act “to provide for internet openness, and for other purposes.” While the text of the bill is not currently available online, we can be sure that what it will do is leave gaping loopholes through which ISPs can climb to screw over their subscribers. During a Communications & Technology subcommittee hearing on Thursday, GOP Reps. Cathy McMorris Rodgers and Greg Walden announced they were introducing similar bills. Based on the title and statements during the hearing, Latta’s bill will seek to ensure that broadband access is permanently classified as an “information service” under the Communications Act; the purpose being to prevent the FCC from ever regaining the authority to hold ISPs to account. Notably, Latta tried this trick several years ago. Rep. Marsha Blackburn, another fierce opponent of net neutrality, also tried to pull a similar stunt last year and failed. The idea of Congress passing an in-name-only “net neutrality” law worries many of the policy’s chief supporters. By the time such a bill navigates its way to a vote, it’s unlikely to resemble anything close to the 2015 Open Internet Order, which first established federal net neutrality regulations. To be clear: Republicans are introducing these bills not for the purpose of restoring the protections offered by net neutrality, but to cement under the law the ability of ISPs to violate it. A shoddy law passed by Congress that claims to promote “internet openness” would be infinitely more difficult to overturn than rules put forth by the FCC. Blackburn’s fake “net neutrality” bill, for instance, would have allowed ISPs to move forward with the creation of so-called “fast lanes” (see: paid prioritization) while ensuring that state lawmakers would have no authority to pass their own laws to protect consumers. It’s the kind of bill that lawyers at Verizon and AT&T would have written—and who knows, maybe they did. It’s a stupid trick, but sometimes it works. While Blackburn’s bill was total garbage, many headlines failed to reflect that. The Washington Post, for example, published an article titled: “Days after the FCC repealed its net neutrality rules, the GOP has a bill to replace them.” The last half of the article went on to describe the myriad ways in which the bill didn’t actually replace the net neutrality rules. “We need strong legislation that reinstates the FCC rules that never should have been repealed, and doesn’t leave loopholes for Comcast, Verizon, and AT&T to scam us and control what we see online,” she added.